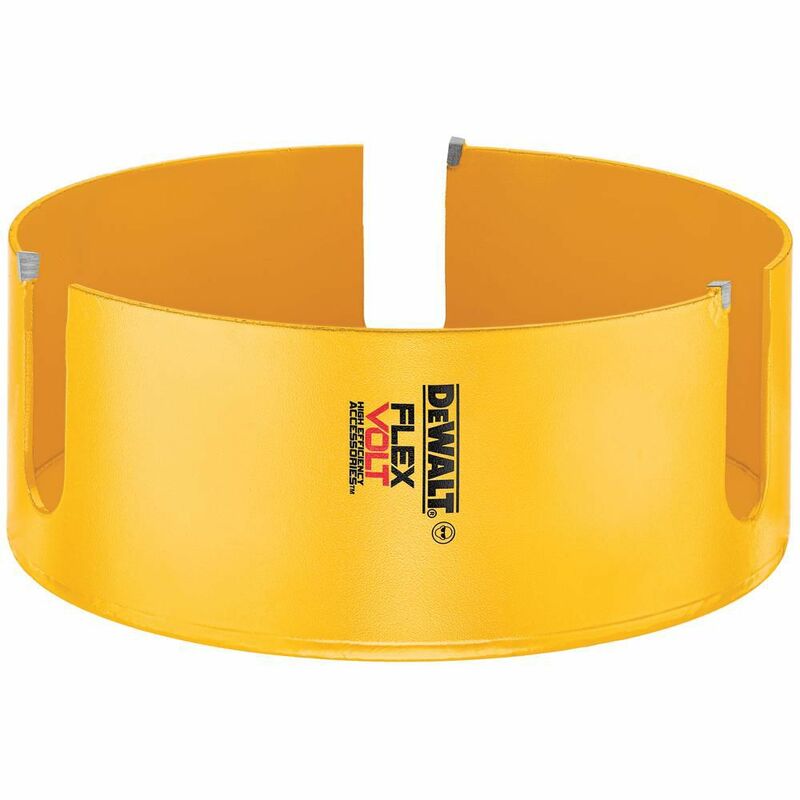 FLEXVOLT 6-1/4 Inch Carbide Wood Hole Saw The DEWALT DWAFV0614 FLEXVOLT 6-1/4 inch Carbide Wood Hole Saw Blades are engineered to maximize runtime. It offers carbide teeth for long life, and a thin kerf design for high efficiency. For use in cordless and corded tools. FLEXVOLT 6-1/4 Inch Carbide Wood Hole Saw is rated 4.2 out of 5 by 5. Rated 1 out of 5 by HomeDepotCustomer from Terrible product, wii return to store !!!!... Terrible product, wii return to store !!!! Rated 5 out of 5 by Jake from I have used many holesaws over the years. They... I have used many holesaws over the years. They have all mostly had regular saw teeth. The Dewalt with just four carbide teeth is the best I’ve ever used for wood. Rated 5 out of 5 by Art from Works great. ... Works great. Rated 5 out of 5 by RyanB from The bit worked well for the installation of 6" LED... The bit worked well for the installation of 6" LED low-profile puck lights in a 3/4" pine ceiling backed by 5/8" drywall. Clean cuts and the bit held up well despite hitting a couple nails. Used a 1/2" drill with handle (important) to drill the holes. Quick work of the holes and was worth the $. Rated 5 out of 5 by Lorraine from Cuts a 6 1/4" hole like butter. ... Cuts a 6 1/4" hole like butter.